Whoever it was that first thought up the idea of building Christmas trees out of teddy bears, he/she deserves some credit for giving us something this adorable to look at at Christmas. 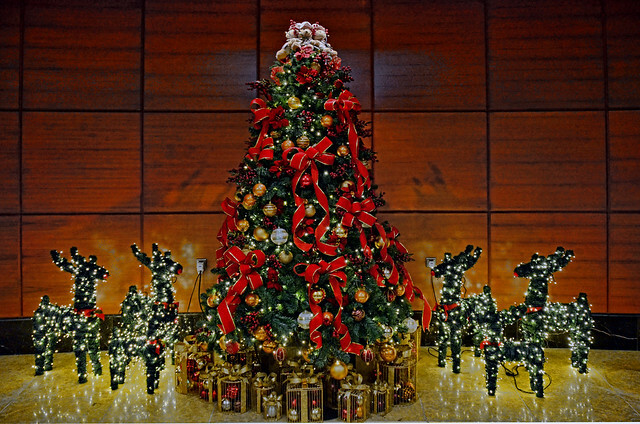 Every Christmas, there is at least one such teddy bear tree in town, usually the colourful bear trees at Takashimaya or the uber cuddly tree at Conrad Centennial Singapore. This year, I am so happy to see a new teddy bear tree. You can admire it at The Fullerton Hotel. The bears are clad in cute little sailor and safari costumes bellhop and postmaster uniforms, surrounded by a ring of presents, poinsettia leaves and translucent lace. Very classy. 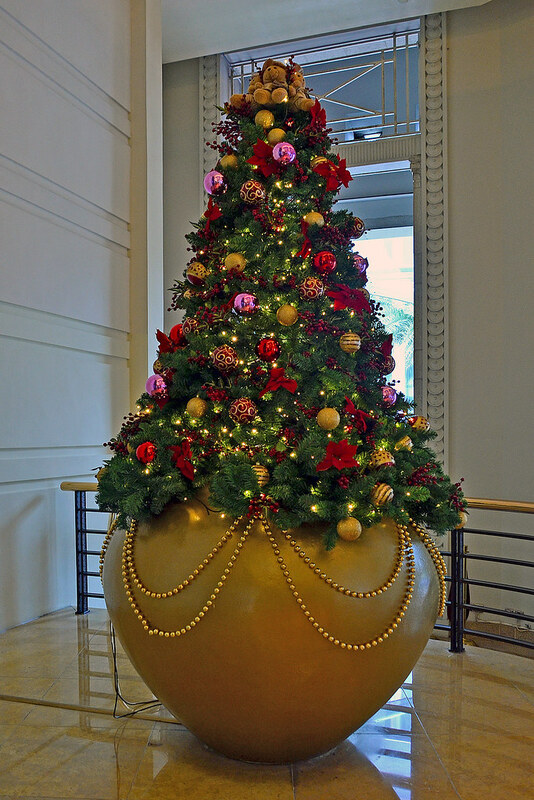 Take a tour around the hotel and you will spot a few more smaller trees. These trees are topped with the same adorable bears, but with varying designs overall.